Another classic from 'the old factory'. Simply delicious! Den Gamle Fabrik Strawberry Jam - a classic from 'the old factory'. 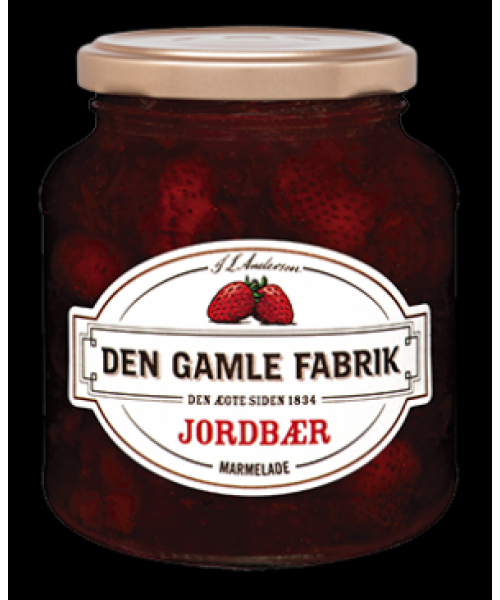 This is a favourite with the Danish population. Sweet and fresh tasting with whole strawberries, this is delicious on freshly made bread, but try it as a cake filling, added to yoghurt, or anywhere else where your imagination takes you!